Praised by the Boston Musical Intelligencer as “among the finest artists of contemporary (or any other) music,” the Collage New Music comprises some of the most experienced and exciting instrumentalists skilled in the intricacies, virtuosity and emotional depth of new music. Members include musicians from the Boston Symphony Orchestra, highly respected musicians from Boston’s freelance community, and musicians from New York and beyond. Guest artists who have appeared with Collage represent a who’s who among some of the most deeply communicative artists, including Seiji Ozawa, Gunther Schuller, Milton Babbitt, Clark Terry, Vanessa Redgrave, Walter van Dyck, Janna Baty, Janet Brown, William Hite, Elizabeth Keusch, and Judith Bettina. Throughout Collage’s four decades of distinguished and engaging performances of compelling programs, the ensemble has stood as a leader in the community of adventurous music makers, providing a vital arena for the union of composer, performer and listener. The ensemble embraces a wide and deep repertoire that reaches from classical twentieth century works to powerful but obscure older works and to exciting creations by American composers, and Collage New Music’s commissioning history has helped create a repertoire that serves all new music ensembles. Collage concerts have ranged from solo performances to large ensemble works, from theater works to fully staged chamber operas, and to music with extensive electronic equipment. Collage New Music has been a passionate champion of the music of Donald Sur, Andrew Imbrie, Charles Fussell, John Harbison, and numerous other local composers. 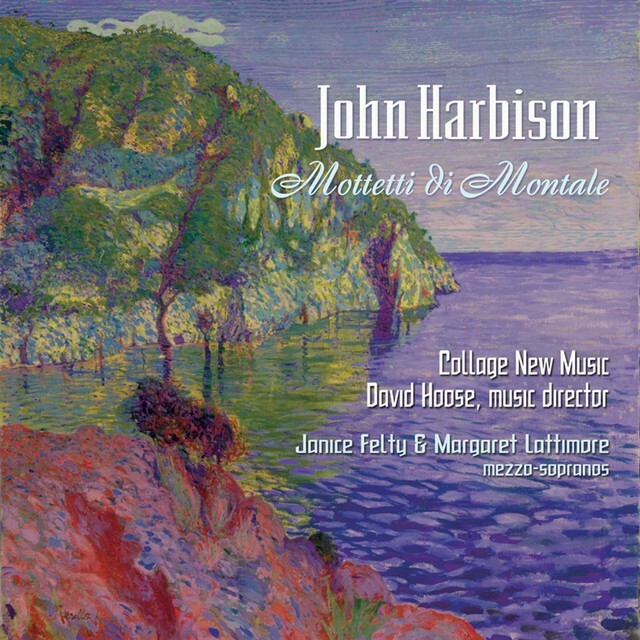 The ensemble appears on the New World, Koch, and Albany labels, and its recording of Harbison’s Mottetti di Montale was a 2005 Grammy Nominee for Best Performance by a Small Ensemble. In addition to its annual series of concerts and commissioning activities, Collage has frequently hosted a composer-in-residence each year, and it runs composition competitions for young composers.